Movies may be made by large dramatic moments, but life is made up of the little things. 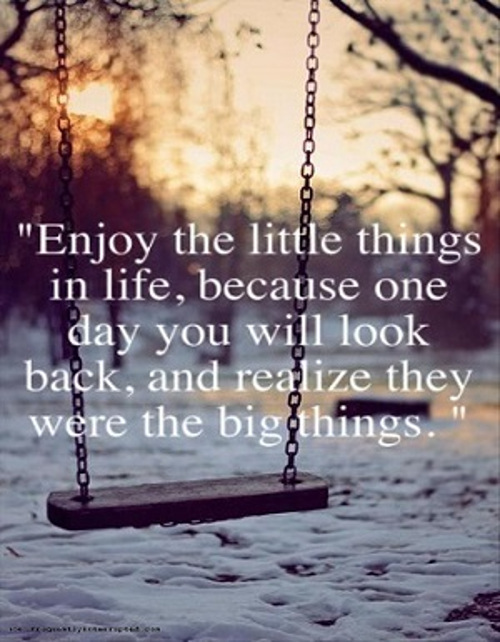 Without those little things, the big ones never happen. Without those little things, there is no foundation of meaning upon which to build. Life is made up of the little things. Appreciate the little things, and you appreciate life.